OK it isn’t an exageration!!! (spelling) But is looks to be the size of a drone. 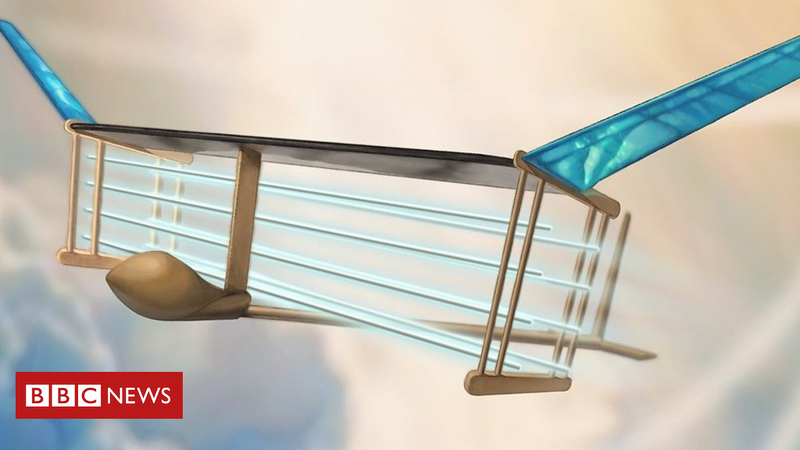 MIT scientists create the first plane to fly without moving parts. Those little tin-foil triangles strung up with copper wire and wooden tooth picks sure have come a long way. It’s just fancy new lighter weight battery technology that allows that thing to work. It’s still cripplingly inefficient and remains almost entirely useless for practical applications and will remain so, pretty much forever. Yum, nitrogen oxide emissions! I was missing acid rains. Still, if you really need a no-moving-part and/or a completely silent ultralight drone, this could be useful. Were did you get that from? It’s a battery no? My guess: product of ionized air. ^^ Yeah, if i remember correctly from high school chemistry, the ionized nitrogen will convert into NO which can interfere with the ozone layer. Something for them to be aware of if that technology becomes viable. I would love to see the return of airships for cargo and tourism and this would be a low noise pollution method. Yes, for what I’ve read, ionized air produce those. Apparently, if you change the direction of the current it works slightly less well and you produce ozone instead of NO, which is probably no better. But as this system should be relatively niche (due to the energy inefficiencies) compared to conventional propellers, it should not become too much of a problem. Saturn’s Rings Are Disappearing Ya long after your dead and a cosmic sense of “rapidly”. 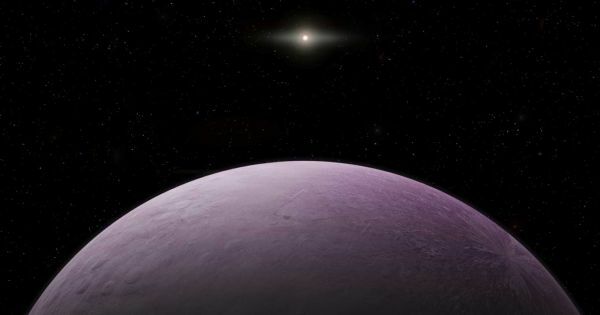 "Farout" is more than 100 times farther away than the Earth is from the Sun. It goes near the Heliopause? did I read that correctly? 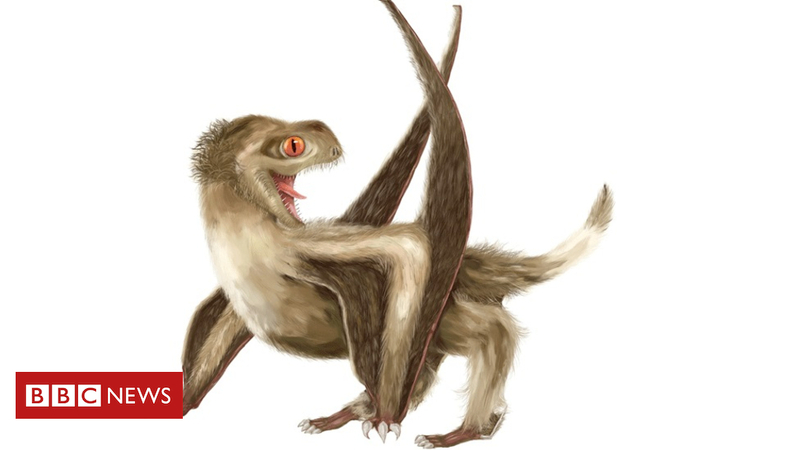 The flying reptiles had feathers, and looked like brown bats with fuzzy wings, say scientists. The paper talks about using gravitational lensing of the Sun to increase data rates to nearby stars. It’s a pretty cool idea. Absolutely blew my mind when I found the paper. Achievable (re-ceiving) data rates from αCen are of order 10 Mbits per second per Watt for a pair of meter-sized telescopes, an improvement of 10^7 compared to using the same receiving telescope without the SGL[solar gravitational lense]. NASA video shows polar vortex shifting to spread frigid air across the U.S. It will not copy the link. It is on BBC: science tab. Not current but interesting in what could be coming. Surprised someone else didn’t beat me to this. I would be disappointed if they can’t.